Why would you want to do a clean install of Windows 10 on your laptop? This is one question which most consumers might be asking. If you bought a new laptop recently then chances are it will be running on a version of Windows 10 Home or Windows 10 Pro. Aside from this operating system it will also come with several pre-installed apps that sometimes might be useful but most of the time are just using up your laptop resources. This in turn will significantly affect the performance of your device. 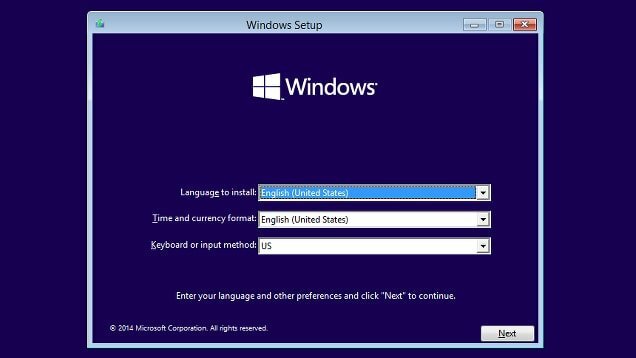 If you own an older laptop that runs on Windows 10 the chances are it will have accumulated a lot of software installations,some of which you rarely even use. You will also notice that your computer does not perform the way it used to. One solution to improve the laptop performance speed is to do a clean installation of Windows 10. While this might seem like a complicated process it really isn’t and can often be done in less than an hour as long as the correct procedure is followed. What this does is it makes your laptop run on the Windows software alone making you choose what apps you want to download later. Before we begin make sure to meet the following prerequisites. You have made a backup of your laptop data. In case your laptop manufacturer has a website to download the necessary drivers for your laptop then I suggest that you do this first. Windows 10 however comes with all the necessary drivers to make your laptop work. Have your software license key ready. Make sure you have a fast and reliable Internet connection. Once the tool has been downloaded you should launch it. Review and accept the license terms then either choose the keep the files option or the nothing option. I suggest that you choose the nothing option if you have already made a backup copy of your data. Take note that once the process has started all software or apps installed in your computer will also be removed leaving only the apps that come with Windows 10. This is an automated process which means that once started you just have to wait for it to finish.